Jennie creates sculptural pieces which are smoked fire in a pit using ancient techniques. 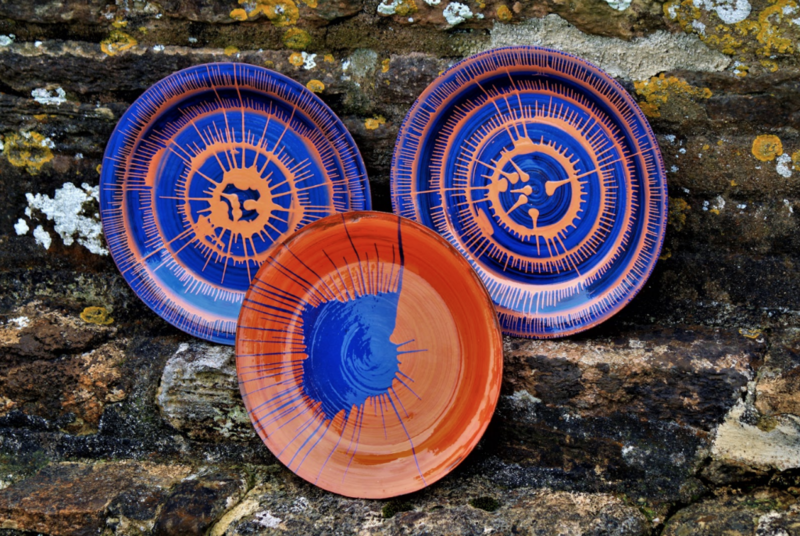 She is currently working on a range of brightly decorated tableware. Jennie also teaches ceramics and runs classes locally all year. Maggie is a new participant having recently moved to Bridport. She was previously part of London Potters and mainly throws stoneware functional pots for everyday use; with the occasional foray into more experimental work. ​From Waitrose carpark follow St Michael’s Lane, turn right into the Trading Estate, Green Shack Pottery is through the carpark on the left.